India touring Australia captain Steven Smith and Coach Darren Lehmann believes the series is scheduled to be extremely challenging for them. Indian Skipper Virat Kohli and off- spinner Ravichandran Ashwin both players will be their biggest challenge said, Steve Smith. If they got control on both players then they can easily win this cricket series. 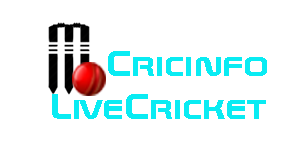 Australian Cricket team came to India for four tests Border-Gavaskar trophy. This test series will be very hard or tough for us said, Australian Skipper and Coach Darren Lehman. They had good preparation for team India also added. 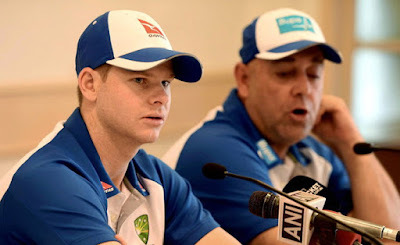 Smith said, "We are very excited about this tour. These tours will be challenging for us. "He said, "India is the world's number one team, but our players have also prepared and we will expect definitely the success." Kohli and Ashwin assuming the challenge, "he said against Ashwin and Virat against our batting to our bowling will decide the result of the series." In the meantime, Smith said, to prevent massive and Ashwin and his team have the special planning. Smith said, "We are making the game plan against Virat, they are world-batsman and four double-century in the last four series have imposed the too great challenge for us will be." In the press conference when the question arises on Sledging, Australian Skipper didn’t deny the fact about Sledging he said, if sledging helps us to win the series then we will use against India. Smith said in the media, then why should we sledging helps if the team will refuse. "He said, "Yes, I believe it is useful to create pressure on the opposite team and some players get the benefit of it." The world's number one batsman in ICC rankings Steven Smith besides India off-spinner Ashwin, Virat big challenge for the Australian team said. A world class bowler Ashwin stating "It will be a challenge for the batsman to play against them. But also for the team to face off-spinner has been prepared separately. According to Smith Fast Bowlers like spinners is not easy to play. "It is not only fast bowler Umesh Yadav from our spinners, Ishant Sharma, Bhuvneshwar Kumar can present a challenge for us and the challenge can be considered equal." During the India-Australia Test series, Team India captain Virat Kohli has an eye on one million USD. If Indian Cricket team remains number one in the ICC Test rankings on April 1, 2017, then Virat Kohli team will get the reward for number one test Team in the world. Indian team has to beat Australia at least one test to get this reward.